Forged steel head for maximum strength and durability. Seal-coated white ash handle provides long reach and leverage. 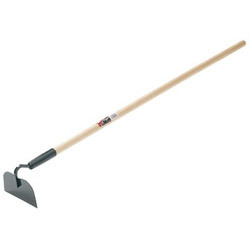 Tool Type: Hoe; Application: Farming; Gardening; Landscaping; Applicable Material: Clay; Gravel; Soil; Style: Hoe. Garden Hoes from Jackson Professional Tools! 654 In Stock today.